Note: Sign-ups begin October 17th, 2018 at 9 pm EST. The goal of Le RETREAT is to introduce a way of traveling that incorporates fitness into daily activities. We look to maximize the travel experience by enhancing it with physical activity. One of the most challenging parts of travel is figuring out how to incorporate fitness into your travel routine. Let us be your guides while introducing you to other like-minded souls from around the globe. When you join our Le RETREAT experience, you will enjoy up to 90-minutes of fitness daily, experiencing our signature Le SWEAT™ and Le STRETCH™ classes. Additionally, we will be utilizing the beach as our gym and taking it to the sand for morning runs, hitting the hills for morning hikes, and turning every stairwell, rock, and tree into our very own fitness tools. 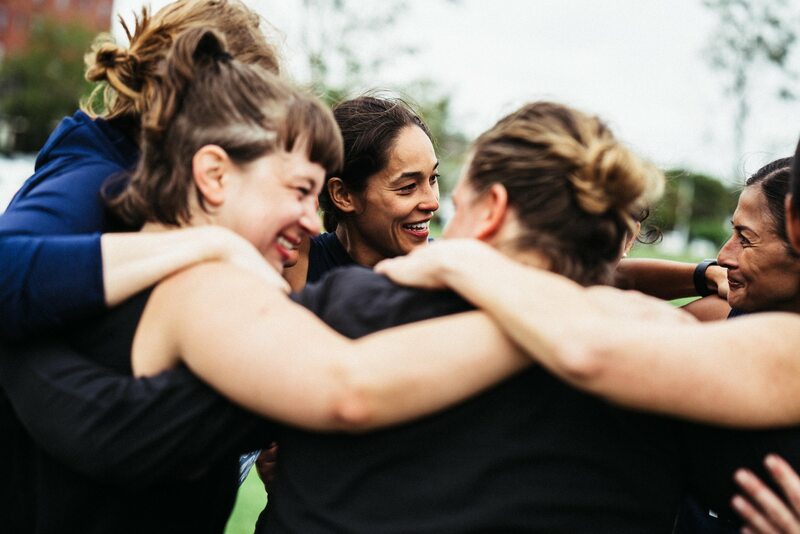 This is your opportunity to travel, reconnect with yourself, and practice the art of fitness in a group experience. All levels of fitness are welcome, but come and expect to break ‘le’ sweat. For our participants who don’t fancy running there will be alternative routes to finding your cardio. Image from Le Retreat: Asbury Park. Photo Courtesy Jorge Quinteros. Coron is a tropical island in the province of Palawan, Philippines that is best known for world-class WWII-era wreck diving, though the area also offers limestone karst landscapes, crystal-clear freshwater lakes, and shallow-water coral reefs. Coron is a fantastic base for adventure, especially for underwater explorers. It is also the number one most photographed place in all of the Philippines. Join Le Sweat on a private beach resort for daily Le Sweat and Le Stretch sessions, delicious Filipino meals, daily activities, local exploring, plus three boat days exploring the turquoise waters of Palawan. Aerial view of Club Paradise Palawan. Club Paradise is an exclusive island resort in Coron dotted along UNESCO Biosphere Reserve. It is a tropical paradise strategically located amid Coron’s tourist attractions and exciting dive sites. Pristine white sand beaches, rustic and charming accommodations, colorful flora and fauna, and a myriad of outdoor activities and lounging options assure the most indulgent stay. We’re into bookending our sunlit hours with physical activity. Wake up to 90-mins of Le Sweat and set the sun with a lengthening Le Stretch sesh. Between ‘le‘ activities we’ll explore, chill on the white sands of our private island resort, sunbathe by the pool, peruse the open water via paraw, or hike to the peak for 360 ocean views. Think beach chic for seven days, so pack light: sundresses, swimsuits, boardshorts, and don’t forget the sunscreen. We are all about expanding our current social groups and making some new-new friends. Shared experiences are the best experiences. We guarantee you’ll leave each retreat with some new and lifelong connections. Le spandex, le sundresses and linens, swim trunks, flippy floppies, bug spray, an open mind, the right attitude, and a desire to experience something new. WHAT LEVEL OF FITNESS ARE WE TALKING ABOUT HERE? We like to make our workout classes attainable with a little progressive load. If you need a modification or two or are coming off an injury, we have you covered. HOW MANY Le SWEAT-ers ON THIS RETREAT? Le RETREAT Philippines will have anywhere from 16 to 20 participants. Think of your favorite group fitness class but with extra time to share a unique experience with the said group. Most of our attendees are solo adventures, so if you’re hesitant to join you may show up alone, but you definitely won’t leave lonely! 9 AM – 10 AM: Breakfast: Expect local fruits, yogurt, eggs, rice, homemade cuisine, and freshly brewed coffee & teas. 11 AM – 5 PM: Play: Chill out on the beach, adventure underwater, sleep in a hammock, or take a joy ride with us to the accompanying islands. 5 PM – 6 PM: Afternoon Le Stretch Sesh (The afternoon activity varies. Often it’s Le Stretch (more workshop style in format), and some other days we’ll go on an outdoor adventure. It varies depending on the direction of the group. 8 PM: Dinner: Dine and bond! 10 PM: Goodnight. Enjoy your rest. Charlee Atkins is the founder and creator of Le Sweat, home of the Le Sweat and Le Stretch routines. Originally from New Mexico, Charlee is a fitness trainer living in the Nolita neighborhood of New York City. She is a certified Strength and Conditioning Specialist through the NSCA, a Functional Range Conditioning mobility trainer, as well as a Master Instructor at SoulCycle. Throughout your time at Le RETREAT, Charlee will lead you through daily Le Sweat and Le Stretch sessions, which will include using the island itself as a tropical gym (think beach runs, short ocean swims, push-ups in the sand, as well as sunset Le Stretch sessions.) Le RETREAT workouts are for all levels of athletes, so every body will break a daily le sweat! The goal of Le RETREAT is to bring like-minded adults together in a fitness and travel setting to debunk the challenging parts of both: i.e. proving you can still travel and maintain a level of physical activity without much scheduling and effort woes…as well as show how an active lifestyle can include delicious drinks and meals with a lot of social activity! On Le RETREAT we take you to the places you want to go and do things we like to do. Anthony is an active lifestyle photographer based in New York City. He shoots vibrant colors and his body of work covers fitness fashion, streetwear, and engaging portraits. He is a former dancer and currently a master instructor at 30/60/90 Fitness. Anthony teaches the signature rhythmic HIIT step boot camp class about 5x a week between photo shoots. He loves going to Crossfit and exploring the world. This will be his second visit to Coron and some recent world trip faves have been hiking trails in New Zealand and climbing Mt. Kilimanjaro in Tanzania. Take a peek over at www.anthonycunanan.com to preview more of his work. A lover of SoulCycle, green juice, and all things le sweat, Claire is an LA native currently living in NYC. After attending Deerfield Academy, she spent two years at Washington University in St. Louis before transferring to NYU Gallatin, where she’s currently a junior studying the intersection of math and design. Claire loves trying new restaurants, traveling, and exploring NYC. She’s also down for any adventure and has been skydiving and bungee jumping. On Le RETREAT, Claire will be managing all aspects of the trip and most likely be taking way too many pictures. She can’t wait to get a tan and explore Coron with le squad! "I didn't realize how much I was missing a community like this until I was fortunate to be a part of it." "I rediscovered I actually enjoy meeting new people and I’m a lot stronger than I think - both physically and mentally." “Because of Le Sweat, I have 11 new friends in multiple cities and countries that I can travel to and “work on working out” with." "I need to engage more in my fitness network at home. The sense of community during Le Retreat was transformative." Booking for Le RETREAT begins October 17, 2018. All rooms will be two per room with your own bed. If you’re coming on Le RETREAT with a friend please email us at us@le-sweat.com. When booking flights, please arrive in Manila before 11 am on Saturday, February 16th, 2019. Since there is a risk of travel interference, please be mindful of your connections. The flights to Coron are the only flights each day. They are listed below. Two flight legs to get to Le RETREAT: Philippines. Questions, comments, concerns? E-mail us! us@le-sweat.com. We are firm believers in speedy responses. We’ll see you in the inbox! Sign-ups for Le RETREAT: Philippines begin October 17, 2018 at 9 PM EST.